Look good and feel good with our tanning and specialist Universal Body Treatments. 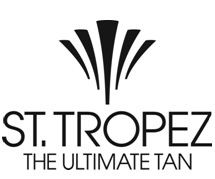 We offer St. Tropez Air tanning and full body exfoliation. Get a sun-kissed, healthy glow without exposure to harmful UV rays. Book yourself for 5 tanning sessions and get your 6th tan for free. We also offer Express Tan Wash Off from 1-4 hours. Great for that last minute tanning. Private, hygienic Inverness system using the highest quality earrings. Choose from titanium, palladium or solid gold.